The purpose of this paper is to propose a methodology for implementing effectively library projects. The primary emphasis of the methodology is to provide a project management strategy that will fit most library projects. The basis of the methodology will be based on the Waterfall Method for information system development and organizational design, created by Winston W. Royce in 1970 (Royce, 1970, p. 328). Today, librarians implement better services for providing resources through the internet and on-site physically to their users. In traditional and digital libraries, services include access to informational resources like books, journals, magazines, videos, audio media, maps and historical archives (Digital Libraries, 2003). Also, services like electronic reference, e-reserves and electronic interlibrary loans are becoming increasingly implemented by libraries. Furthermore, the need to market those services and resources has turned them to social networks by using Web 2.0 tools for help. Libraries can manage the implementation of new procedures and projects by using project management methodologies. According to Winston and Hoffman (2005) project management methods can help libraries administrators to ensure the most efficient and effective use of resources and the completion of projects (p. 60). The completion of project activities requires a series of different and diverse skills, and having a structured methodology is necessary for setting the project environment (Cerrone, 2007, p. 23). This paper will describe the Waterfall Methodology for information system development in terms of organization design, and its use in project management. After examining this methodology, we then propose a library project management strategy based on the Waterfall Methodology. The design of an information or computer system requires considerable organization and management; a planned approach needs to be taken to define how the development and implementation needs to be performed (‘Systems design and life cycle’, 2008). Winston and Hoffman (2005) explain the Waterfall Methodology applies the principle that the development process should be divided into phases to provide clarity of content. Results of each phase are documented and the next phase only begins when all pre-requisites are satisfied. It is not permitted to return to a previous phase, once another has started unless the implementation requirements change. The project is completed when all phase gate reviews are satisfied. Requirements change must be tracked and controlled so as to reduce scope creep. Feasibility study: benefits, cost estimates, effectiveness from a new or improved system need to be determined. System requirements: existing system is analyzed and requirement specifications from the system owner are gathered. System design: involves the technical specification produced for the new system based on requirements. Design Implementation: work begins on the development or production of the new or improved system. Testing and Installation: protocols for testing verification and proper installation are performed. Maintenance: after the system is implemented, operational modifications could be made to fit new requirements. Is the system acceptable to the customer? Was it delivered according to schedule? Did the project ended within the agreed budget? Did the system development process have a minimal impact on ongoing operations? Initiating processes which focus on gaining authorization of a project or one of its phases. Planning processes that define objectives and select courses of action that will be used to effect project goals. Executing processes used to coordinate activities, staff, and other resources in order to put the plan into action. Controlling processes which provide the context for measurement and monitoring of project results in order to prevent variance from the plan or correct the course of action when a variance occurs. Closing processes that formalize the acceptance of the project and end the project activities. The detailed activities that fall within the five process groups are 44 different in total. Furthermore, detailed tasks can be applied differently depending on the objective. The biggest difference between PMBOK and the Waterfall method is complexity. PMBOK is better suited for large scale projects and requires experience and the ability to apply specific activities to diverse processes in order to manage the project efficiently (Cervone, 2007). On the other hand, the Waterfall Method is simple and convenient while allowing the flexibility for managing both, large scale and small scale projects. Oura and Kijima (2001) explain that the waterfall method is employed top down in the sense that the development process can only proceed if management approves each phase. This could be an issue if the organization is a bottom-up and changes come from lower level personnel. The simple process that the Waterfall method provides makes it ideal for libraries project management. The Waterfall Method divides the development process by phases. The proposed adaptation of the method for library projects will be presented in the following stages: plan, design, implementation and operations. Each stage has a set of activities that produce deliverables that serve as evidence documentation for management or governing agencies. The stages are given a percentage to establish relevance and a basis to inform progress to upper management. In the Plan Stage, the scope of the library’s project is discussed an analyzed. There is a need to establish the project feasibility, user requirements, map the current process, establish the team charter and get the buying from management. This stage corresponds to the Feasibility Phase and Requirements Specification described in the Waterfall Methodology. In the Design Stage, specifications described in the user requirements to be processed are designed. The library systems procedures or guidelines, communication plan with end users and measurements that will show improvement are developed. This stage corresponds with the design phase in the Waterfall Methodology. The Implementation Stage requires the library system to be installed or commissioned for testing by end user. The end user is then presented with the procedures and training developed for them to test the system. This stage comprises the implementation of design, testing and installation in the Waterfall Methodology. The Operation Stage refers to the formal use by library system’s end user. The library system needs to be monitored for ensuring compliance with requirements specification. Provide a presentation to management to close the project and archive documentation for evidence. This stage is more comprehensive than the Waterfall Methodology as it comprises system compliance and operation and maintenance. The lack of theory has rendered education and training more difficult and has hampered effective professionalization of project management. Lacking theory, project management cannot claim, and will not be granted a permanent and respected place in higher education institutions. Also, the lack of an explanation of project management, to be provided by a theory, has slowed down the diffusion of project management methods in practice (p. 12). There is a vast amount of information of project management methods, especially in the areas of engineering, software development, construction, architecture and telecommunications. Project management itself has been transformed through the decades by these disciplines, but the application of project management methods are more used in the industry by practitioners, rather than by educators (Hoon-Kwak & Ambari, 2009; Koskela & Howell, 2002). This presents a dichotomy between practice and scholarship because practitioners are using project management methods on a daily basis but higher education institutions are not using it as much as we expect. Further research and analysis has to be done in order to establish why scholars are not taking advantage of project management methods in the academy. The present paper proposed the application of the Waterfall Methodology to library projects. Library and information science professionals could implement this staged based approach to their projects. The benefits of applying the Waterfall Methodology in libraries can help administrators to: 1) maintain the scope of a project within the requirements and needs of all stakeholders; 2) establish cost control and time management for all the activities required; and 3) obtain documented evidence of the activities that govern projects. The literature review shows that there was no research publications identified that applied the Waterfall Methodology to Library projects and education. Future research can be performed using the methodology and applying it to a specific library or educational project. Systems and Services, 23(1), 30-34. DOI: 10.1108/10650750710720748. development: a methodology and its practice in Japan. Systems Research and Behavioral Science, 19(1), 77. DOI:10.1002/sres.415. This study investigates how technology is being used to improve the engagement of at-risk Hispanic students at a predominantly Black institution through the use of ePortfolio in a co-curricular context. Historically, attrition rates for Hispanic students at Medgar Evers College of The City University of New York have been high. In 2009, 5.6% of incoming freshman students were Hispanic. By Spring 2010 that number had dropped to 2.5%. Recently, concerned faculty have concentrated on improving Hispanic student engagement. In Fall 2010, the Education Department and the Association for Latino Studies Student Club (ALAS) were among a small group who participated in an ePortfolio pilot project focused on improving engagement, fostering integrative learning, and encouraging personal development through reflective writing. Preliminary findings indicate that Hispanic students’ connectedness to the College increased after participation in this project. Medgar Evers College (MEC) is one of eleven senior colleges of The City University of New York (CUNY) and one of the few CUNY colleges that grant both baccalaureate and associate degrees. Founded in 1970 as a result of actions of New York State elected officials and community leaders in Central Brooklyn, MEC is a Predominantly Black Institution. MEC is in the Crown Heights section of Brooklyn, one of the largest, most densely populated and ethnically varied sections of the borough. Its students represent all areas of New York City, especially the surrounding Brooklyn community. In Fall 2009, 75% of the student body was female and over 90% was of African descent, a group historically underrepresented in higher education. The other 10% was comprised of Hispanic (5.6%), European American (0.9%), Asian/Pacific Islander (1.1%), Native American (0.2%), and other (1.7%). The Hispanic population at MEC is growing but the growth rate has been unsteady. The mission of the College is to develop and maintain quality professional career oriented undergraduate degree programs in the context of a strong liberal arts background. MEC is committed to strengthening its academic programs to provide students with the knowledge and experience necessary to enable them to be competitive applicants for graduate education, to attain rewarding careers, and to contribute productively to society. The current student population at Medgar Evers College is comprised of typical CUNY “boundary crossers” (Eynon, 2009): 36.5% were born outside of the United States and a large percentage of MEC students are first-generation college-goers who struggle to stay at college due to various social, personal, and economic problems. The MEC academic community is committed to meeting the needs of its unique student population and creating a learning environment that will promote student engagement, facilitate active learning, and encourage students to address academic and personal challenges with the support of the college community. Over the past year, MEC has implemented an electronic portfolio project, hereafter referred to as ePortfolio, to improve the engagement of high-risk students, to build a community of reflective learners, and to enhance social networking. Through the use of ePortfolio, MEC intends to develop a virtual learning community in which students feel comfortable sharing their lived-world and life-stories with peers and faculty. MEC’s ePortfolio project aims to address learning and competency objectives through a student-centered reflective process that ultimately benefits all stakeholders by creating a positive teaching and learning environment. It is anticipated that the ePortfolio project will increase student engagement by fostering integrative learning and encourage personal development through reflective writing. Given the longitudinal nature of the development of ePortfolios, it is anticipated that student reflections will become richer and more complex as they advance in their academic programs. As ePortfolios are developed, the digital documentation of students’ work should provide detailed information that can be used to examine growth and progress over time, and enhance our student, program, and institution based assessment efforts. We also anticipate that using ePortfolios will enhance Hispanic students’ engagement in the MEC academic and social communities. According to a report released in October 2010 by the Community Service Society of New York, young people who identify themselves as Hispanics are the largest single ethnic group among 16 to 24 year olds in New York City (CSS, 2010). There has been a very measured and gradual increase in the Hispanic student population at MEC over the last five years. Yet, the enrollment of Hispanic students at Medgar Evers College, CUNY, a Predominantly Black Institution (PBI) in Central Brooklyn, continues to lag behind that of most other CUNY colleges. In Fall 2009, Hispanic freshman enrollment at Medgar Evers College was only 5.6 % of the college’s total full-time enrollment. What is even more alarming is that of the 5.6% that enrolled in the fall, only 2.5% remained by the Spring 2010 semester. 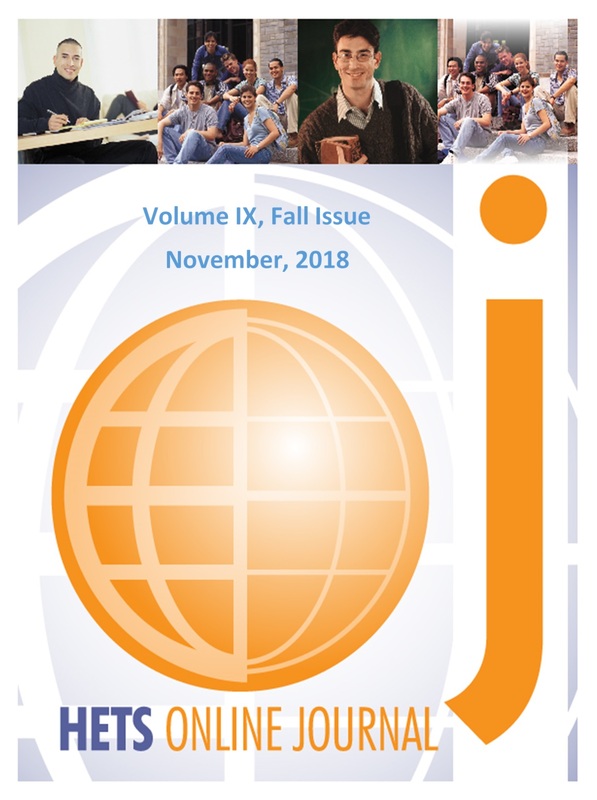 This article will examine the factors contributing to the high attrition rate of Hispanic students at Medgar Evers College through a discussion and evaluation of a co-curricular ePortfolio initiative designed to address the issue of Hispanic student retention and encourage overall academic engagement and success. In recent years, there has been extensive research indicating that a strong sense of school belonging is positively correlated with “student’s intrinsic values, expectations for success and academic effort” (Sanchez, Colon, & Esparza, 2005, p. 620). For Hispanic students, a sense of school belonging seems to play a greater role than for any other ethnic group. Hispanic students have a greater tendency to attend hypersegregated schools than African-American students (Gandara, 2010). As reported in recent studies, Latinos, as opposed to other ethnic groups, seem to thrive best when they are members of in-group peer networks. “Our results offer important evidence that co-ethnic friendship networks are positively related to Latino students’ achievement… additionally, in-group ties are an important source of maintaining cultural heritage, identity, and a sense of community” for Latino students (Riegle-Crumb & Callahan, 2009, p. 627-628). In the Fall 2010 semester, the College implemented an ePortfolio pilot project. That project, now in its second semester, has trained 15 faculty and staff representing the Departments of Education, Public Administration, Search for Education Elevation and Knowledge (SEEK), Credit for Prior Learning, the Freshman Year Program, and the Library. The ePortfolio Implementation Group has designed and implemented a comprehensive faculty development seminar series which provides participants the opportunity to learn the benefits and uses of ePortfolio for improved teaching and learning through reflective, integrative pedagogy and to encourage faculty to create or revise assignments that will foster the use of ePortfolio for course and program level assessment. Faculty who participated in the initial training sessions in fall 2010 are offering 19 ePortfolio courses for the Spring 2011 semester. In the Fall 2010 semester, the Education Department offered two courses that included ePortfolio. Once the ePortfolio team began to see the benefits of ePortfolio firsthand, the use of ePortfolio was implemented within a student club as a tool for community building. At MEC, one of our goals is to increase our focus on integrative learning through the use of reflective strategies. The MEC Education Department has been using print portfolios as an integral part of accreditation and graduation processes. Historically, print portfolios are a collection of student self-assessments in the form of reflective essays. In general, students view print portfolios as a cumbersome task that has “no practical use.” As one of our students expressed, “Portfolios are good for collecting dust.” Students reluctantly assemble their print portfolio as a graduation requirement. However, as we have shifted to ePortfolio, students are more engaged in creating ePortfolios and in the reflective process. Yancey (2009) explains the nature of the paper to electronic shift: As portfolios have gone electronic, reflective texts have taken myriad forms — from concept maps to written texts to streaming video. In this shift from print to electronic, the claims for reflection have widened and increased as well (p.5). Aimed at improving student learning and holistic development, the ePortfolio project at MEC is currently focused on creating scaffolded assignments that foster deep learning through recursive processes embedded in ePortfolio practice. At MEC, participating faculty are helping students to integrate what they have learned through traditional instruction with their lived experiences through a process of reflection. ePortfolio is used as a system of productive teaching and e-learning that addresses students’ comprehensive thinking, cognitive skills, and learning process. At the same time, ePortfolio provides continuous documentation of students’ learning processes, which includes evidence of their learning in the form of self-selected artifacts and allows faculty to view learning from the student’s perspective through reading their reflections. Through ePortfolios, both students and faculty have ongoing access to student work. Simultaneously, ePortfolio provides an alternative form of assessment in addition to traditional paper and pen assessments. ePortfolios provide students with a space to collect and showcase their work, making connections across disciplines and engaging in self- reflection about the learning process. Students are able to present themselves electronically to graduate school admissions officers and future employers. At MEC, students use a process and product format to create their ePortfolios (Carlson, 1998). In process/working, ePortfolio students collect their work throughout their enrollment at MEC. In the product/showcase ePortfolio, they select and present their best work. In Spring 2007, a small group of Hispanic students and faculty at MEC formed the Association for Latino American Students or ALAS, which, translated from the Spanish, means Wings. According to the original club president and founder of ALAS, this small group of students felt isolated, ignored, and disregarded and decided to do something about it. Thus, ALAS became the first Hispanic student club in the history of Medgar Evers College. Beginning in the 2010- 2011 school year, the MEC ePortfolio Implementation Group integrated ePortfolios into this Club’s structure to document the effectiveness of ePortfolio as a tool for community building. The overarching goal of this project was to foster integrative learning processes that would encourage Hispanic students to link their lived experiences and extracurricular activities to classroom learning, with the hope of increasing their sense of school belonging and, consequently, improving retention. Seamless learning environments allow students to “make meaning of the academic experience by connecting classroom learning with their own lives outside the classroom” (Kuh, 1996, p. 136). Kuh explained that the use of the word seamless implies that what were at one time understood to be discreet learning opportunities occurring in and out of the classroom are now considered to be continuous learning experiences. The implementation of ePortfolio within the ALAS club initiated the creation of a seamless learning environment that would allow Hispanic students to assimilate learning across their life experiences. Current research has found that there is a relationship between “student engagement in educationally purposeful activities” and improving persistence (Kuh, Cruce, Shoup, Kinzie, & Gonyea, 2008, p. 542). For most of the first semester of the ePortfolio implementation, the ALAS club president continued to be the only ALAS member actively involved in maintaining the ePortfolio site. This changed in November/December of 2010, when a new section was added to the ePortfolio. This section was titled “Why ALAS? – Member Testimonials.” This page was created to encourage members to share their experiences as Hispanic students at MEC and to discuss the reasons they had joined ALAS. In so doing, the students unknowingly began to build a seamless learning environment, bridging their experiences across classroom, lived, and reflective learning. ePortfolios give students the opportunity to reflect on the learning process and to consequently identify the strengths and weaknesses of their own learning processes (Chen & Light, 2010). Reflection refers to the process through which students synthesize what they learn and explain their learning process to others, specifically the ePortfolio audience (Yancey, 2009). The structures created by students or provided in the ePortfolio format “invite, foster, and support reflection (p. 8). Students reflect on their learning in the context of lived experiences and begin to understand how learning can be transferred across the different parts of their lives (Chen & Light, 2010). Reflective learning within the context of ePortfolio begins with the creation of artifacts and extends to the selection of specific artifacts that illustrate learning outcomes. In addition to written reflections, students can provide video, audio, or visual reflections (Chen& Light, 2010, Yancey, 2009). Sarah: Being Dominican-American in a college that is predominantly Black was not an easy experience for me. Most of my teachers at Medgar Evers College talked about the African Diaspora regardless of the subject they were supposed to be teaching, and I’m sad to say that I now know more about the struggles of African-Americans than I do about my own ethnicity. These student testimonials illustrate how students were able to reflect on their personal experiences with race and explore issues related to their ethnic background. They were also able to transfer learning across the different parts of their lives as described by Chen and Light (2010) and synthesize their learning as discussed by Yancey (2009). As students reflect on the learning process they begin to make connections and integrate learning, which will be discussed in greater detail below. One of the major benefits of using ePortfolio is how it allows students to make connections across different learning experiences. The process of making connections is also referred to as “integrative learning” which allows students to integrate learning accomplished in and out of the classroom and the development of skills and abilities across different courses (Chatham-Carpenter, Seawel, & Raschig, 2009-2010). “Portfolios are fundamentally integrative, being composed of heterogeneous artifacts, the connections between which are explored through reflection” (Cambridge, 2009, p. 41). In the case of the ALAS club ePortfolio site, students were clearly making connections across different learning experiences and because of the ALAS ePortfolio site, they now had a forum in which to explore and share their views. Mya: I was the only Hispanic person in all of my classes for my first year in college. I felt as if I didn’t belong. I had no one to relate to. My second year in college I became friends with two Latinas from the Dominican Republic. For the first time in my college experience I felt like I could express my concerns about attending an all Black College. We all had the same concerns and there wasn’t a person that we could voice our concerns to. American.… I noticed that when exposed to these types of classroom environments, my grades were usually lower. In a qualitative self-study, Brandes and Boskic (2008) found that graduate students acknowledged how the use of ePortfolio and technology enhanced learning. The students also noted the importance of creating an online learning community, which provided opportunities for them to work with other students in small and large groups and share ideas. The ALAS students built an online learning community in which they shared not only ideas but also their feelings of isolation. The combination of the use of technology and the creation of an online learning community provided a means for students to “move from the personal to the professional, sociological, and cognitive aspects of learning” (Brandes & Boskic, 2008 p. 8). The ePortfolio experience allowed students to “link ideas and make apparent connections between concepts” (Brandes & Boskic, 2008, p. 10). In addition to making connections between ideas, ePortfolios also allow students to make connections to each other (Bolliger & Shepherd, 2010). The ALAS students were able to make connections between ideas. As they were exposed to and learned about the African Diaspora, they made connections between concepts related to Black history and their own Hispanic heritage. Wilma: I believe that everything fell into place when I was feeling out of place. While Medgar students felt pride in belonging to a country or the history of Medgar, and ALAS students were being connected to illuminating Latin American history, here I was disconnected from the two. Because of the combination of both of these worlds I have experienced, I have now set out in search for my cultural lineage. I have now set out on discovering not only myself, but my people as a whole, and ALAS has helped make this possible for me. Scaffolding is the process of constructing learning that occurs across assignments, courses, and learning experiences. Assignments that incorporate multiple layers provide a framework upon which students build understanding through the construction of knowledge. Brandes and Boskic (2008) noted that as part of their ePortfolio, students were required to provide a site map that guided their audience through the ePortfolio with an explanation of how it was constructed and organized, and how artifacts were selected and interrelated. The process of constructing an ePortfolio, which includes organizing and reorganizing artifacts, reflecting on learning, receiving feedback, and revising assignments helps students to become deeply engaged in the learning process. As the Hispanic population at MEC increases, ALAS seeks to fill the knowledge gap, left by the lack of academic courses on the history and culture of Latin America. We promote and support cultural diversity on campus and seek to educate the MEC population regarding the rich cultures of Latin America via cultural and historic events. We also seek to provide a safe welcoming haven for Latino students in the Brooklyn community here at MEC. Through the reorganization of artifacts including the club’s mission statement, announcements and descriptions of upcoming events, and personal reflections, ALAS students became deeply engaged in the learning process. ALAS students were able to construct knowledge as their learning spanned across classroom learning, co-curricular learning, and personal reflection which resulted in a scaffolded learning experience and improved student engagement within the context of a student organization. Electronic access to clubs like ALAS through ePortfolio serves to address the issue of community building and creating a positive identity by bringing the benefits of club membership and participation to a larger group. In general, the MEC student population is non-traditional and many students have full-time jobs and families. In spite of the proven educational value of extra-curricular activities, the majority of our students have a difficult time attending meetings and events. But, since ePortfolio allows students to participate in the ALAS club online, Hispanic students who are using ePortfolio have indicated an increased sense of belongingness and connection to each other and to the larger college community. Hispanic students’ testimonies indicate that ePortfolio has provided them with a channel for self-expression and a forum in which they can write about themselves and reflect on the learning experience in an environment that allows them to include multi-media such as slides, pictures, videos, songs, and music. Vicki’s comments illustrate the intensity of the ALAS experience as expressed in the ePortfolio format. Vicki: In fall 2010, I found ALAS or they found me. Joining them has strengthened my feeling of belonging in the MEC family. ALAS provided that support and extra encouragement I needed as a Latino in a campus community that has a high percentage of African American and Caribbean students. I feel fortunate that I was able to join such a positive and energetic group of people that can express and encourage diversity in an already diverse community…I can honestly say that my future as an early childhood education educator would be because of the strong support I have received. Latino students’ extraordinarily high dropout rate is related, in part, to their lack of attachment to school and a sense of not belonging. A crucial means by which students attach to school and form supportive friendship groups is through extracurricular activities… Unfortunately, Latino students are less likely to participate in these activities, either because they perceive the club to be exclusive or because of logistical problems, like needing to work or help out at home after school or not having transportation or the money required for the activity (p. 29). Josie: Having felt so powerless for the majority of my life due to having to conform to so many rules, I felt lucky to be part of a group that shared one voice, one mission, and one dream. No ideas are turned away without fully exploring the possibilities, which is why everyone feels that they can freely express themselves. Overall, being both a member and [officer] of the ALAS club has been for me a transformative experience that has helped me to grow and develop in unforeseen ways. I am a vastly different person today than I was just two short years ago and I owe the majority of this change to ALAS. As a result of this initiative, ePortfolio has emerged as a tool not only for collecting and documenting club events and activities, but also as a means of community building through the sharing of personal experiences. When reading the statements, patterns emerge, similarities are highlighted, and it becomes clear that all the stories are really one and that none of the students are alone in their hopes, dreams, and struggles. Mya: It wasn’t until my third year in college that I became a part of a club that embraced my heritage. I met people that spoke the same language as I did and I was able to talk freely about being a Latina in an all Black College. Tanya: For me sometimes being a Latina of color in the United States of America is very frustrating. Don’t get me wrong I love who I am and know who I am, but I am tired of not being considered enough. When I first came to Medgar Evers College I honestly did not think about it as going to a historically Black school, I just needed to go to a school that wasn’t too far from my family, and where I could take classes at night. I never thought about how being a Latina of Color would play out for me. The reflective thoughts of Mya, Johnny, and Tanya indicate that they made a connection within the digital environment. As they shared their thoughts and feelings through ePortfolio, students explored their sense of self, feelings of alienation and worth, and sense of belongingness. In addition to sharing their personal educational journeys, Hispanic student statements reflect the challenges inherent in being a Hispanic student at a predominantly Black College, an issue that has not been sufficiently researched and/or discussed in the current literature. Of the 12 students who posted on the ALAS ePortfolio site, nine expressed difficulties adjusting and or “belonging” to the MEC community. Feelings of not belonging have been found to lead to attrition (Gandara, 2010). But, for the ALAS students, having the opportunity to share their concerns did improve their sense of belongingness. ePortfolio also impacted students’ personal and academic growth. A few ALAS club members have developed ePortfolio expertise and are working as Student Tech Mentors in the MEC ePortfolio lab assisting their fellow students as well as faculty members. One of the benefits of using ePortfolio is its support of life-long and life-wide learning (Cambridge, 2008). Cambridge (2008) described lifelong learning as “learning that occurs across and between episodes of formal learning…” (p. 1228). The use of ePortfolio by Hispanic students at Medgar Evers College is focused on tapping into ePortfolio’s capability for enhancing life-long and life-wide learning to connect students’ learning across real life and classroom experiences with the goal of ultimately improving their engagement in the learning experience and academic success. Giving students the opportunity to share personal observations and learning in a safe and respectful environment provided a forum in which one Hispanic student was able to develop a teaching philosophy that reflected her own experiences incorporated with what she had learned in the classroom. Another benefit of using ePortfolio is that it allows students to document and share their experiences with others (Bolliger & Shepherd, 2010). Through an examination of each other’s ePortfolios, students recognize similarities across experiences, which can increase communication and improve feelings of connectedness. Clearly, the students in the ALAS club were able to share their experiences which improved their feelings of connectedness where before they had felt alienated. Chen and Light (2010) noted how ePortfolios “can be tailored to specific individuals and groups” (p. 13). Students who have used ePortfolio have reported developing an enhanced sense of community (Brandes & Boskic, 2008). In their study examining how students view “communication and connectedness, learning, and value in online programs,” Bolliger and Shepherd (2010, p. 296) noted that ePortfolio has been shown to address issues of isolation and improve community building. At Medgar Evers College, Hispanic students who are using ePortfolio have indicated an increased sense of belongingness and connection to the larger college community. And since ePortfolio provides a means of connecting to broader audiences (Cambridge, 2008), we anticipate that the broader Medgar Evers College community will also expand its connection to the Hispanic student population as they are exposed to the ALAS student club ePortfolio. The preliminary success of the Medgar Evers College ePortfolio project has fueled the team’s desire to continue and expand the use of ePortfolio at the college. The number of participants in the small ePortfolio pilot does not allow us to make generalizations to other settings and populations at this time, but as we expand the use of ePortfolio in curricular and co-curricular settings, we plan to continue our research and to document how participation in ePortfolio is related to students’ sense of belongingness and their persistence. Brandes, G. M. & Boskic, N. (2008). Eportfolios: From description to analysis. International review of research in open and distance learning. 9(7), 1-17. Bolliger, D. U. & Shepherd, C. E. (2010). Student perceptions of ePortfolio integration in online courses. Distance Education, 31(3). 295-314. Cambridge, D. (2008). Audience, integrity, and the living document: eFolio Minnesota and lifelong and lifewide learning with ePortfolios. Science Digest: Computers and Education, 51, 1227-1246. Cambridge, D. (2009). Two faces of integrative learning online. In D. Cambridge, B. Cambridge, & K. Yancey (Eds),Electronic portfolios 2.0: Emergent research on implementation and impact. (pp. 41 – 49). Sterling, Virginia: Stylus Publishing, LLC. Carlson, R.D. (1998). Portfolio assessment of instructional technology. Journal of Educational Technology System.27(1). Chatham-Carpenter, A., Seawel, L. & Rashig, J. (2009-2010). Avoiding the pitfalls: Current practices and recommendations for ePortfolios in higher education. Journal of Educational Technology Systems, 38(4), 437-456. Chen, H. L. & Light, T. P. (2010). Electronic portfolios and student success: Effectiveness, Efficiency, and Learning. Association of American Colleges and Universities. Community Service Society. October 2010. New York City’s Future Looks Latino. Latino Youth in New York City: School, Work and Income Trends for New York’s Largest Group of Young People. Eynon, B. (2009). Making Connections: The LaGuardia Eportfolio. In Cambridge, D.; Cambridge, B.; Yancy, K. (Eds). Electronic Portfolios 2.0: Emergent research on implementation and impact. Sterling, Virginia: Stylus Publishing, LLC. Gandara, P. (2010). Meeting students where they are: The Latin education crisis. Educational Leadership Journal, 67(5), 24-30. Kuh, G. D. (1996). Guiding principles for creating seamless learning environments for undergraduates. Journal of College Student Development. (37)2, 135-148. Kuh, G. D., Cruce, T. M., Shoup, R., Kinzie, J., & Gonyea, R. M. (2008). Unmasking the effects of student engagement on first-year college grades and persistence. The Journal of Higher Education, 79(5), 540-563. Riegle-Crumb, C & Callahan (2009) Exploring the Academic Benefits of Friendship Ties for Latino Boys and Girls,University of Texas. Sanchez, Colon and Esparza (2005) The role of sense of school belonging and gender in the academic adjustment of Latin adolescents. Journal of Youth and Adolescence, 34(6), 619 – 628. Yancey, K. B. (2009).Reflection and electronic portfolio. In: Cambridge, D.; Cambridge, B.; Yancy, K. (Eds).Electronic Portfolios 2.0: Emergent research on implementation and impact. Sterling, Virginia: Stylus Publishing, LLC. The rising number of African Americans and Hispanics turning away from higher education is creating a problem that threatens many aspects of American society. Educators can help reverse this destructive trend by creating New Media based curricula that addresses the motivational factors impeding the academic success of these students. The recent advances in personal computing, as well as the rise of the Internet and global networks offer educators an unprecedented opportunity to reengage and motivate many of these students by teaching them to develop digital content that is technically advanced, economically viable, and which stays true to their core values. This new approach, which makes use of interactive technology, can bridge the gap and make it possible for many disenfranchised African American and Hispanic students to view academia in a more positive light. In the fall of 2002 LaGuardia Community College created a two-year degree program in New Media Technology as one of the methods to address the growing need for digital media professionals. Recent technological advances in the fields of digital arts and computer information systems, gave LaGuardia educators an unprecedented opportunity to develop new media based curricula that directly converged with the interests, passions and cultural value systems of the predominately African American and Hispanic student body. While the primary goal of the program was to provide quality instruction in new technologies, another key objective was to motivate many of these “at risk” students to embrace education and secure greater opportunities for their economic success. In order to fully understand the societal impact of new media and how it was utilized at LaGuardia to motivate “at risk” African American and Hispanic students, it must first be defined. The field of new media is an emerging discipline that encompasses numerous areas of study, all which have helped to fuel the union of science, news, literature, commerce, television, radio, film, and the recording industry into a new paradigm. According to the summary of findings from the Digital Youth Project (Ito, et al., 2008), new media is described as the convergence of traditional forms of communication, finance, and entertainment with new methods of Internet based delivery. The wide spread proliferation of high speed broadband networks, combined with more powerful computers and sophisticated software, has created a technological focal point for the creation and dissemination of much the multimedia content driving popular culture. Established minority filmmakers have also begun to make use of these new technologies and distribution methods as a way of leveling the playing field in Hollywood. Noted filmmakers Spike Lee and Robert Rodriguez are possibly best known for their first films, “She’s Gotta Have It” and “El Mariachi”, which both defied the Hollywood conventions of the time because they were produced for $160,000 and $7,000 respectively (Lee, 2010). Despite the fact that Lee and Rodriquez have produced and directed numerous films over the course of their careers, it is only recently that they took the opportunity to work on large-scale big budget films. As a result of working predominately in independent films at the start of their careers, both filmmakers have been extremely conscious of controlling the production costs of their movies. Lee and Rodriquez were avid supporters of using digital technology to enhance filming methods long before it became fashionable, and have heralded the use of this new medium for up and coming African American and Hispanic filmmakers. Speaking in an interview about “Bamboozled”, his 2000 satire about a modern televised minstrel show, Lee stated, “We decided to use digital video because we were dealing with the medium of television, and it gave us that video look. Plus, we didn’t have a lot of money” (Fuch, 2000). Bamboozled shocked critics on many levels due to it’s derisive subject matter and also because much of the film was shot using consumer quality Sony VX1000 digital video cameras. Lee said that while the learning curve of working with digital formats presented a challenge, the cost and portability of the smaller handheld cameras allowed him to create the film that he wanted at a price acceptable to the major studios. Rodriquez echoed similar sentiments on the use of digital technology in film production. As an early adopter of computer based editing, Rodriguez noted that with the software, camera technology, and computer processing power available today, his first movie created for a total of $7000 in 1992, could be made for $70 today (Farber, 2006). He went on to say that “Technology can help you create happy accidents–you are writer, director, photographer, sound mixer. It’s not that I am better than anybody…I just know I will make it wrong in all the right ways that will charm people make it human and not make it feel manufactured. The technology makes it possible” (Farber). Today, many of the African Americans and Hispanics who were influenced by the early independent works of Robert Rodriquez and Spike Lee are now acutely aware that they can create and tell their own stories for a fraction of the costs of their mentors. Such is the case with African American filmmaker and director Angelo Bell, whose 2009 released feature film, “Broken Hearts Club”, was promoted through Facebook and distributed on Amazon.com and Netflix. His decision to pursue this method of filming developed out of the desire to take his passion for storytelling into a visual medium and to profit from his craft (Bell, 2010b). The use of digital filmmaking equipment and Internet based distribution enabled him to achieve this goal. In addition to his Facebook and Twitter pages, Bell maintains his own blog (Bell, 2010a) for the purpose of marketing and promoting himself and his films on the web. If the film and television industries have been transformed by the “new media ecology” (Ito, et al., 2008), it can only be said that the music sector has been irrevocably altered by this shift in technology and communication. For example, the early African American and Hispanic pioneers of Hip Hop used microphones, records and inexpensive turntables, in conjunction with freestyle poetry, to tap into their creative energies. The innovative use of common household items allowed many underprivileged African Americans and Hispanics to create their own musical renditions with limited resources. Today this process is again being recreated, but instead of using turntables and records, the tools of the trade are high-end personal computers and specialized music software. Using computerized digital workstations to create entirely new audio compositions are only one area in which new media based technology has changed the music industry. The use of the Internet as a delivery medium, and the ability to digitize music collections into compressed and easily transmittable audio files called MP3s, has been a large factor in this transformation. The global reach of the Internet, and the negligible cost of transmitting digital information, has enabled authors to market and promote their music without having to rely solely on mainstream recording labels. The rise of non-commercial peer-to-peer file sharing networks like BitTorrent, and the commercial viability of music downloading sites like the iTunes store, have given artists the means with which they can communicate directly with their fan base. Over the past decade there has been a great deal of debate over the concept of the “digital divide” and how the lack of access to computer technology and global communication negatively impacts African Americans and Hispanics. It is a widely held belief in many academic circles that access to these technologies may level the playing field for minorities and make opportunities for success and advancement possible (Sahay, 2006). While it is true that access to digital technologies is a key component of success in many areas of 21st century society, the barriers facing the educational advancement of African Americans and Hispanics are more complex. In addition to providing access to technology and global communication, it is also important to address the motivational and systemic reasons why African American and Hispanics continue to shun higher education in numbers far greater than their counterparts from other groups. According to Deci and Ryan’s Self Determination Theory (SDT), all human motivation can be allocated to three main motivational categories: intrinsic motivation, extrinsic motivation, and amotivation (Deci & Ryan, 2000; 2008). Before we can determine how this theory may be applied to analyzing the motivational factors that affect the educational decisions of African American and Hispanic students, it is important to define these motivational categories. The first of Deci and Ryan’s (2000; 2008) motivational categories, intrinsic motivation, can be described as a process that begins at infancy, where individuals are spurred on to action without the promise of external rewards. Individuals, in this case, are motivated by the internal self-satisfaction derived from the action, as opposed to being motivated by the possibility of an external reward that may be gained by engaging in the action. For example, a young musician may enjoy playing a style of music because the fast paced tempo of genre makes the songs instinctively pleasing. This behavior would be in contrast to the musician who plays a style of music merely for the financial and status based rewards gained as a result of performing. Deci and Ryan go on to explain that in spite of the fact that all humans have certain autonomic motivational tendencies, these patterns can change over time and cause individuals to deviate from the natural intrinsic motivational tendencies due to outside factors such as negative experiences and destructive reinforcement. Conversely, Deci and Ryan propose that positive experiences and constructive reinforcement throughout life can help individuals sustain their natural intrinsic motivational tendencies and, as a result, become more self-determined to achieve success. Out of all of the three categories, Deci and Ryan believe that intrinsically motivated individuals have greatest opportunity for academic success. The second category type, extrinsic motivation, is when individuals are driven to actions solely by external factors, such as fear of punishment or expectation of a reward, rather than as a result of a natural innate sense of self-satisfaction for achieving a specific goal. Deci and Ryan (2000; 2008) hypothesize that extrinsically motivated people will only work towards achievement if a reward or threat of a negative outcome is deemed great enough to warrant taking action. An example of an extrinsically motivated person would be the child that works hard in school to get straight A’s only because their parents promised a reward for such an outcome. Deci and Ryan classify extrinsically motivated people as having a moderate opportunity for academic success. The final category of Deci and Ryan’s (2000; 2008) three motivational types is amotivation. Amotivated individuals are at the bottom of Self-Determination Theory scale, as it pertains to maximizing opportunities for academic success. These individuals tend to avoid acting in their best interest by either not placing value on a given task, or not having the self-confidence to believe that they are capable of accomplishing the specific task. These individuals are the most difficult to motivate towards successful academic outcomes due to their negative mindset. Identifying what motivates individuals is a complicated issue in a best-case scenario. When we further convolute the setting by looking at it through the historical prisms of race, and American cultural conflict, the level of difficulty rises exponentially. The trials and tribulations of slavery, the backlashes against both legal and illegal immigration, the years of Jim Crow Segregation, the struggle to integrate into a new country and culture, the fight for civil rights, the subtleties of institutionalized racism, and the stigmas of affirmative action have all played a large part in shaping the collective motivational tendencies of African Americans and Hispanics. Utilizing the SDT developed by Deci and Ryan (2000; 2008), and understanding the historical context of the negative and destructive United States minority-majority race relations, a strong case can be made that the motivational tendencies of African Americans and Hispanics have been moving from intrinsic motivation, to amotivational over the years as a direct result of unfair treatment at the hands of the mainstream society. Historically, African Americans have long been shut out of higher education. The roots of these barriers begin within the institution of slavery, where blacks were forbidden from learning to read and write, and arguably continued up until the nadir of civil rights movement when the Supreme Court case of Brown vs. the Board of Education challenged the concept of racial segregation through the guise of “separate but equal” education. It was only due to the outcome of this case that African Americans and other minorities legally, if not in practice, gained access the same educational opportunities as whites. While this was an encouraging development, some academics and social scientists believed that despite the civil rights movement helping to put in place structures that eventually would minimize systematic racism in education, the positive effects would not be immediate. As a result, many culturally destructive trends continued to be felt for years to come. Although both groups have struggled to find equality and secure a place within American society, the historical landscape of Hispanics within America differs from that of African Americans. The Hispanic experience has its own unique and complex set of challenges that can explain why, when we examine their place in traditional educational settings, the motivational tendencies of some Hispanic students may trend more towards Deci and Ryan’s (2000; 2008) amotivation than towards extrinsic or intrinsic motivation. According to statistics by the Pew Hispanic Center (Pew Research Center, 2009). Hispanics have the highest dropout rate of any ethnic group in America. The Hispanic drop out rate (17%) is nearly three times as high at that of whites (6%), and nearly double the rate of African-Americans (9%). Many academics have pondered that some of the factors attributing to this ethnic disparity are language barrier challenges for non-English speakers, anti-immigrant perceptions, greater financial responsibilities as a result of providing for larger immediate and extended family members, and the effort needed to balance cultural identity against the need to integrate into mainstream society (Pew Research Center). However, while all of these challenges may present barriers to educational success and drive some African Americans and Hispanics toward amotivational behaviors, the current shift in education as a result the new media ecology offers hope that some of these students can be reengaged. If one is observant of the recent trends in urban culture in relation to the areas of fashion, speech, music, entertainment, and status, it is clear that Hip-Hop holds a significant sway over the attitudes of many African American and Hispanics. This is especially true in the urban inner cities in which Hip-Hop originated. Noted Hip-Hop artist and activist Chuck D of Public Enemy has long stated that “Hip-Hop is the Black CNN” (Mahoney, 2010) and merely reflects attitudes and experiences of many inner city minorities. According to Daudi Abe in his essay entitled “Hip-Hop and the Academic Canon” (Abe, 2009), the African American and Hispanic experience provides the theoretical framework for Hip-Hop’s origins. He continues on to say, “over the last 30 years, the hip-hop movement has risen from the margins to become the preeminent force in US popular culture”. Abe hypothesizes that one of the reasons for this dominance is because, despite the lower social standing that African Americans and Hispanics occupy in the US in relation to mainstream white society, America has always equated urban culture as “avante garde” and the “definition of hip and cool”. This impact on mainstream American culture becomes even more evident when we view the 2009 RIAA statistics on music industry demographics and learn that Hip-Hop is the second most popular music genre, only trailing behind Rock (The Recording Industry Association of America [RIAA], 2008). Further examination of music industry demographics underscores the popularity of the Hip-Hop genre across racial and socio-economic classes. Once relegated to the fringes of society, Hip-Hop can arguable be described as firmly in the mainstream. When we consider that African American and Hispanics have primarily dominated Hip-Hop, the influence that both groups have had on shaping popular culture is difficult to contest. Academics seeking to reengage disaffected minority students would be severely remiss not to take advantage of this unique a form of popular culture in developing new coursework. The use of computerized software and hardware in the production of Hip-Hop music makes the synthesis of new media technology a natural instruction method in which to tie together the interest of African American and Hispanic students with marketable technical skills. Understanding the causes of why African American and Hispanic students may have greater amotivational tendencies concerning education, and what are potential motivators, would be the first steps in developing a plan of action to address and correct the problem. Based on Deci and Ryan’s SDT (2000; 2008), if academics want to reverse the negative impact of destructive reinforcement that is at the core of amotivational behavior patterns, we need to inspire “at risk” African American and Hispanic students to positive action. This can be achieved by designing a reward-based curriculum that takes into consideration, and identifies, their highest values. To offer African Americans and Hispanics the greatest opportunity for educational success, the ultimate goal of the curriculum would be to move these “at risk” students from the amotivational, to the extrinsic, to finally the intrinsically motivated behavior patterns highlighted in the SDT. Phase one in designing a plan to combat low motivation in underperforming African American and Hispanic students is to create a curriculum developed within the confines of a supportive and nurturing environment. This nurturing classroom environment is needed to offset the lack of self-esteem and confidence that is usually inherent within those who trend towards amotivational behavior. In short, these students need to regain confidence in their ability to succeed if they are to shift toward extrinsic motivation from their current amotivational behaviors. The next step in guiding amotivated students towards the reengagement is to make them understand the rewards, whether monetary or status based, that are possible as a result from the successful completion of the coursework. The positive benefits of this academic reengagement should be demonstrated through the curriculum in a culturally viable way that enforces the teaching of critical core competencies in the technologies required for success in the 21st century marketplace. However, there will always be students who don’t respond to this approach of academic reengagement. In these situations where the student initially fails to shift their amotivational behavioral patterns toward extrinsic motivation, the new media driven course material should emphasize the possible negative outcomes if they do not strive to master the competencies defined in the curriculum. Essentially it is necessary for the amotivated student to understand how failure to perform will directly impact upon them and their cultural value system, if the shift towards extrinsic motivation is not achieved. The final phase of the reengagement process involves encouraging the underperforming African American and Hispanic students to develop a sense of pride in their accomplishments that does not stem from anticipation of a reward, or fear of a negative outcome. To reach this goal of helping African American and Hispanic students move from extrinsic patterns to the more self-determining intrinsically motivated behaviors, the curriculum should be structured in a format that encourages students to enjoy learning for the sake of knowledge accumulation. This is without a doubt the most difficult phase of the reengagement process, as it requires a fundamental change in the way that many of these students have come to think about the traditional mainstream education system. It is for this very reason that a new non-traditional approach utilizing new media based curricula must be taken. As the curriculum for the New Media Technology program at LaGuardia Community College was being updated in 2005, a number of LaGuardia’s institutional factors were taken into consideration. The question of how to motivate and instruct an ethnically diverse student population that has generally not responded well to the traditional teaching strategies was a main concern. The goal of the redesign was to create a program of study that would reengage disaffected learners while training them in marketable technology based skills. To best appreciate the environment under which this redesign was developed, it is necessary to comprehend the institutional profile of LaGuardia Community College. LaGuardia is large urban community college located in Long Island City, New York, and is one of the 23 colleges that comprise the City University of New York (CUNY) system. The current 17,000 plus full time students that are enrolled at LaGuardia are predominately from poor and working class backgrounds, with learners of Hispanic and African descent encompassing more than half of the school population (LaGuardia Community College, 2010). However, while the school has a sizable African American and Hispanic student population, nearly 80% of all the first year students entering LaGuardia require some level of basic skills instruction in math, writing, English as a Second Language (ESL), or reading before they are ready to tackle college level materials. Based on the ethnic makeup of LaGuardia’s population, and the challenges facing these students, it was decided that the revised New Media Technology curriculum should be a hands-on and project-based degree that featured consistent reengagement throughout the program of study. The structure of the new curriculum was set up to reflect elements of the SDT scale discussed by Deci and Ryan (2000; 2008). This decision was made in order to engage many of the underperforming students and help them to shift from amotivated behaviors, to extrinsic and intrinsic motivators that offer greater opportunities for academic success. Classes throughout all levels of the curriculum would be taught with an equal amount of time devoted to lecturing on the theory of new media, and similar time in the computer lab where those theories would be put into practice. This would permit students with difficulty staying focused during traditional classroom lectures to be constantly reconnected to the subject matter through hands-on exercises. At the very beginning of the redesign, it was obvious to the curriculum developers that technology had created a new dynamic that was fundamentally changing the way in which this generation communicates. The designers surmised that the visual nature of new media was better suited to helping build the confidence levels of underperforming amotivated students than traditional degrees due to the creative and technical aspects of the discipline. Classes on topics such as video production and interactive web design, which rely more on visual acuity and creativity than on written and linguistic acumen, would limit some of the initial academic barriers facing many amotivated students. This approach would allow them to gain academic confidence as they developed marketable technical skills. To address the concerns of how to best reengage amotivated African American and Hispanic students at LaGuardia, it was estimated that the creative nature of the new media courses would allow these students the flexibility to draw material from their own cultural and racial backgrounds in crafting digital content. By allowing students to connect their unique cultural and racial experiences to their class work, instructors would gain greater insights into the value systems of these learners and how to best motivate them towards academic success. For example, in the introductory course within the major, Introduction to New Media, students are required to complete a basic new media project that addresses a core digital competency every week. The syllabus for Introduction to New Media was developed as a series of staged assignments that increase in difficulty, from low stakes to high stakes, over the course of the semester and culminate in the creation of a student’s first digital portfolio. Since each assignment builds upon the theories and methods from the previous project, students must stay engaged in the coursework from week to week in order to be academically successful. To invest the learners in ongoing process, each student has total creative control on how to implement their weekly project in terms of design. The final assignment for the class requires the student to develop an original creative project based on any topic of their choosing. The project can on any subject but must incorporate the material covered throughout the semester. The purpose of the staged assignments and the final culminating project is to build intellectual confidence by gradually introducing complex technical subjects, promote academic accountability by forcing the students to stay engaged, and empower learners by encouraging individual creativity and project ownership. In addition to the introductory course, LaGuardia’s ePortfolio initiative was implemented at every level of the New Media curriculum in order to stay in alignment with the overall educational goals of the institution. Prior to graduation, students would be required to design a final professional portfolio to facilitate transfer to a four-year institution or market themselves to potential employers. During the time since these changes were implemented, students have created interactive portfolios containing multimedia web sites and video productions on diverse topics ranging from the child soldiers in Sierra Leone to the latest trends in urban sportswear. This open and creative format allows the student to personalize the course work to highlight the subject matter and issues that they value most. According to statistics on the effectiveness of ePortfolio based courses compiled in 2007 by LaGuardia Community College’s Office of Institutional Research (OIR) (Eynon, 2009), students in New Media focused classes were more likely to pass their courses than their counterparts in non technology centric courses. The pass rate for technology-based classes was 77.1% as compared to the 72% pass rate for courses not enhanced with digital media. One of the anticipated benefits of the curriculum change was that the skill sets required to produce quality digital content would create lines of convergence across multiple disciplines such as business, mathematics, physics, technology, art, literature, music, film, and journalism. As a result, many of the African American and Hispanic students that were ambivalent towards the benefits of traditional liberal arts and science subjects, are now being prompted to discover the value in these disciplines. By incorporating a multimedia enriched pedagogical approach that enables African American and Hispanic students to merge popular entertainment genres like Hip-Hop and movies with traditional liberal arts and science coursework, they are able develop highly marketable skills while gaining a greater appreciation for traditional liberal arts and science coursework. To illustrate the benefits of instructing African American and Hispanic students with this pedagogical approach, the following case studies detail the experiences of two prior students in the New Media Technology Degree Program at LaGuardia Community College. J. Singletary (personal communication, December 1, 2010) is a single 23-year-old African American male who graduated from LaGuardia Community College with an Associate in Applied Science (A.A.S.) degree in New Media Technology in 2009. He is currently working as a video editor in the corporate training division of a major international packaging and shipping company. In addition to his fulltime job, Mr. Singletary founded College Dropout Films after graduating from LaGuardia in 2009. College Dropout Films (http://vimeo.com/user3253499) is a consortium of independent video producers dedicated to using this new Internet based visual medium to benefit aspiring Hip-Hop artists. The name “College Dropout Films” is an inside reference between the various members of the group. The premise of the story being, that if it had not for becoming involved in digital film production, they would have all dropped out of college. During the interview, Mr. Singletary stated that he was drawn to the study of new media as a result of the movies that he grew up watching. He was especially influenced by many of the 3D animation movies created by the computer-generated imaging (CGI) company, Pixar Animation Studios, made famous by Steve Jobs. Films such as Ice Age, Toy Story, and Monsters Inc. all played a significant part in sparking his interest in the digital arts. Mr. Singletary originally gravitated towards LaGuardia’s New Media Technology Program because it was the closest equivalent to a formal course in 3D animation that he could find at the time. In addition, the lower tuition rate that CUNY institutions charge in comparison to private universities made LaGuardia one of his only viable options for college. During the course of his study, Mr. Singletary, an avid fan of Hip-Hop music and culture, discovered he had a significant aptitude for film and video editing. He stated that the more traditional majors in liberal arts and sciences did not interest him because he could not relate to their standardized lecture formats and content. Furthermore, he did not see a direct correlation between his life experiences and the subject matter contained within the liberal arts classes. It can be stated that he had a fairly negative view of traditional educational methods and it is doubtful he would have continued his education after high school if it were not for the program in New Media Technology. Mr. Singletary stated that the study of New Media changed his views on education because it offered a different style of teaching and learning. What particularly interested him was the less structured and more “hands-on” approach to creating digital content. While lectures were part of the classroom organization, the lectures in new media were far more interactive. Some of the tools used to instruct students included Podcasts, special effects movies, cartoon animations, and power point presentations. The “hands-on” learning substituted task based projects for standard written exams that enabled Mr. Singletary to problem-solve and figure out methods that worked specifically for him. This individualized style of exploration gave Mr. Singletary a sense of personal satisfaction because of the freedom to express himself in the digital creations that he developed. Despite working fulltime and pursuing entrepreneurial endeavors as the founder of College Dropout Films, Mr. Singletary is currently planning on continuing his education in 2012. His goal is to attend either Hunter College or Brooklyn College and obtain a Bachelors of Arts in film production. Examples of his creative work can viewed on his Vimeo page under his music production pseudonym, “Joey Snaxx” (http://vimeo.com/user4254885). J. Batista (personal communication, December 4, 2010) is a married 26-year-old Puerto Rican male who graduated from LaGuardia Community College in 2006 with an A.A.S. degree in New Media Technology. He currently works as an interactive media designer for a New York based advertising firm creating Flash advertising banners and micro-sites. Mr. Batista was initially motivated to study new media because of his interest in digital music production. He stated he was always fan of electronic music and had dabbled with the technology on his own. However, Mr. Batista wanted to expand his knowledge beyond his self-study efforts and believed a formal class would assist him in his goal to become a professional music producer. His decision to attend LaGuardia was for a straightforward reason. At the time, the New Media Program was the most affordable equivalent to a formal course in digital music production that Mr. Batista could find. Mr. Batista’s views on a traditional liberal arts and sciences education mirror that of Mr. Singletary. He found very few liberal art and science programs that spoke directly to his life experiences and interests. As a result, he described himself as fairly unmotivated towards pursuing a standard liberal arts or sciences degree and is doubtful that he would have continued his education beyond high school had it not been for the non-traditional pedagogies within new media. While he initially was drawn to the New Media Technology Program to learn more about music and audio production, Mr. Batista developed an interest in online gaming and animation as a result of taking a Flash animation course at LaGuardia. The visual nature of Flash made it possible for him to create interactive web sites utilizing many of his interest such as graphics, movies, and music. Also, the way in which the classes were taught, with equal time given to theory and practical computer exercises, helped him stay focused during the lessons. Interestingly, during his time studying new media, despite having very little interest in subjects such as math and science, Mr. Batista discovered himself having to develop those very same skills as a result of his fascination with Flash animation and gaming. In order to create the interactive projects that he wanted, it became necessary for him to learn programming skills that made use of applied mathematics and physics to construct exciting new media based entertainment. Mr. Batista finds it ironic that he entered LaGuardia without a desire to study mathematics and now uses it in many of his interactive projects. Since graduating from LaGuardia, Mr. Batista has started an online recording label in his spare time. Despite working fulltime as an Interactive Designer, he has not given up on his desire to be a successful music producer. His music label, Dangerbox Recordings, (http://www.dangerbox.net) specializes in Trance and Electro House music. The venture is still in the startup phase, but Mr. Bastista is hopeful that it will be profitable soon since he and his wife recently welcomed their first child into the world. The benefits of the technological innovation we are experiencing at this point in history should not just be limited to enabling individuals to bank online or reconnect with old friends through Facebook. While many of us have participated in these activities and found them to be both convenient and exciting, the opportunity afforded our society by using new media based technology is far greater. We now have the ability to reshape long held negative perceptions about education and learning in some of the most disaffected and disenfranchised students within our midst. In a recent speech on the future outlook of America’s educational competitiveness, US Secretary of Education Arne Duncan referenced a famous quote attributed to Nelson Mandela, “Education is the most powerful weapon which you can use to change the world” (U.S. Department of Education, 2010). Secretary Duncan was sounding the alarm that America must take immediate steps to reverse some of the destructive trends that are keeping our students, particularly minority students, from being more competitive on world stage. African American and Hispanic students have the highest dropout rates of all ethnic groups and comprise approximately more than a quarter of the US population (Pew Hispanic Center, 2009). If we do not address these educational divides, we risk the likelihood of the Untied States wasting vast reserves of human capital and falling further behind other industrialized nations. The fields of digital arts and technology are among the most profitable and popular areas in our economy. It is quite possible for anyone with the proper training to develop a music demo, shoot a video, create an original video game, or start and promote a new business using merely a standard laptop computer. As educators begin designing new curricula they need to be mindful of cultural impact of technology and how these new mediums can be leveraged to reengage unmotivated and underperforming students. The convergence of established time-honored media outlets and new methods of hi-tech communications can make it possible for many “at risk” African American and Hispanic students to discover the benefits of traditional education in the liberal arts and sciences. In preparing these students to compete in the 21st century workplace, it is essential that we help them realize how their unique cultural and racial backgrounds can connect to their academic experiences and place them on a successful path for the future. self-determination behavior. Psychological Inquiry, 11(4), 227-268.
motivation, development, and health. Canadian Psychology, 49(3), 182-185. LaGuardia Community College. Academic Commons. James, D. (2004). Profile of jail inmates, 2002. Bureau of Justice Statistics Special Report. Mahoney, E. (2010, June 25). The black CNN – when hip hop took control. The Guardian. Pew Hispanic Center. (2009). Statistical Portrait of Hispanics in the United States, 2007. El propósito de este estudio de caso fue auscultar la realidad universitaria que se experimentó en la Facultad de Educación de la UPRRP durante el periodo inicial de implementación del Porta-e entre 2004 hasta el 2006. Se exploró factores como las actitudes, percepciones, situaciones y reacciones que se generaron en el proceso de adopción del Porta-e como herramienta de assessment. Se justifica este estudio: en el nivel de la administración educativa, para desarrollar estrategias en la implantación de innovaciones educativas tecnológicas con las consideraciones: en la dimensión personal, niveles de entendimiento y preocupaciones de los profesores en el proceso de adoptar la innovación educativa tecnológica; identificar distintas formas de implementarlas; y definir el proceso que debe enmarcarse como una práctica de desarrollo profesional dentro de una organización educativa. Además, en el nivel de la administración educativa como institución de educación superior, se aporta con las siguientes consideraciones: en el proceso de tomar decisiones, cuándo y dónde se establecen políticas que logre colaboración y relación colegial para desarrollar la comunidad académica, y proveer autonomía en las consultas decisivas; establecer canales de comunicación. Se utilizó el estudio de caso, modalidad que provee mayor evidencia comprensiva. Para recoger los datos se utilizó un cuestionario sobre las preocupaciones de los docentes, entrevistas estructuradas, y el análisis de documentos. En el análisis de los datos se utilizó la técnica de triangulación. Se exponen algunos hallazgos y se hacen recomendaciones.